This 12 piece blank 5" x 7" postcard lets you create your own message for special occasions. It is durable enough to accept paints or markers. 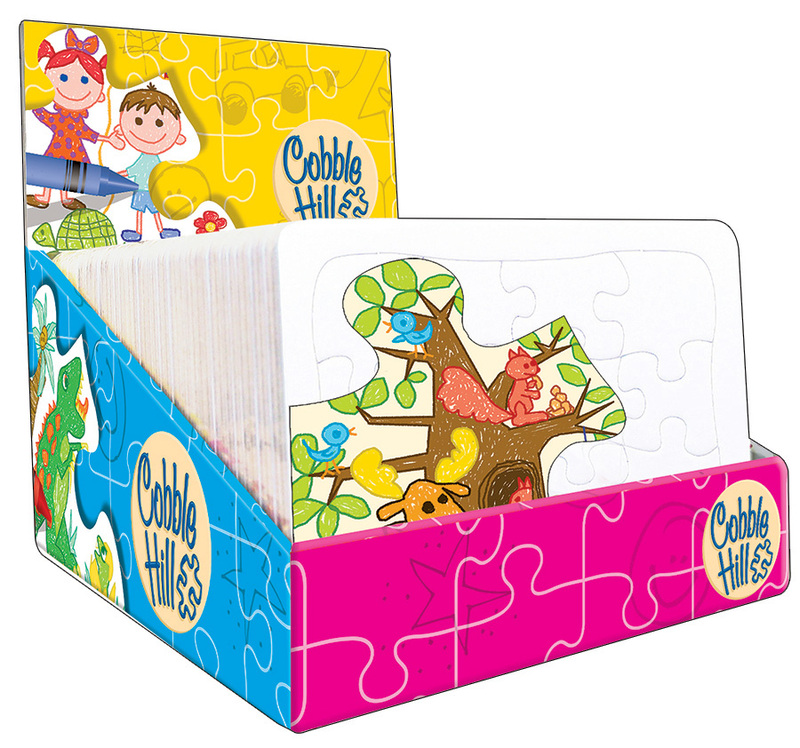 The back of each postcard puzzle is designed with a place to write your name and date, making it a memorable keepsake. And it's light enough to drop in the mail, making it an extra special delivery! Each blank puzzle (all white puzzle pieces) is individually shrink-wrapped. Look for this display on a retailer's counter or shelf. Note: The colourful image/design is a paper insert as part of the packaging used to illustrate what can be created. Case Pack Display of 48 Width 7"
Item # 58844 Weight 0.15 lbs.